B.O.B. 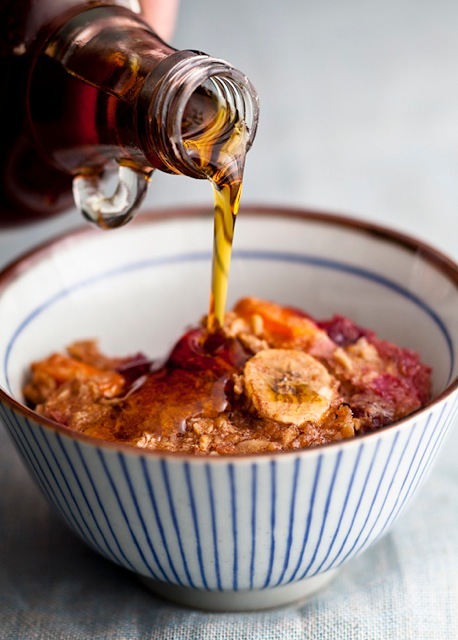 Let’s start a breakfast revolution! B.O.B. Let’s start the day off right! Okay, so I’ve got this recipe for you. 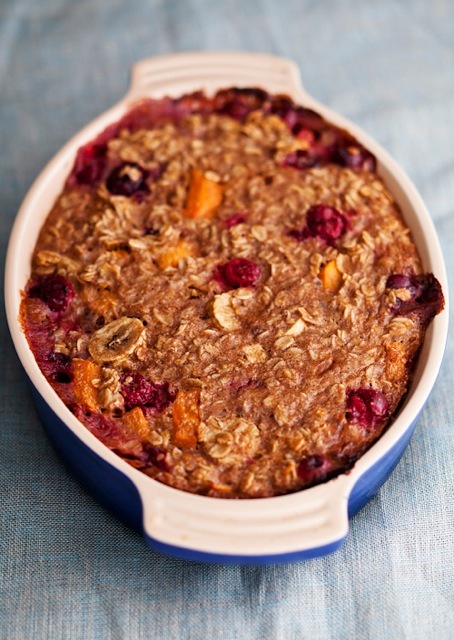 I think a Baked Oatmeal Breakfast (aka B.O.B.) should be part of your morning routine. It’s got coconut milk and fruit and oats. It’s hearty sans heaviness. It just-so-happens to be almost vegan (there’s one, lonely egg in the recipe). In other words, you can douse it with maple syrup and still feel good. 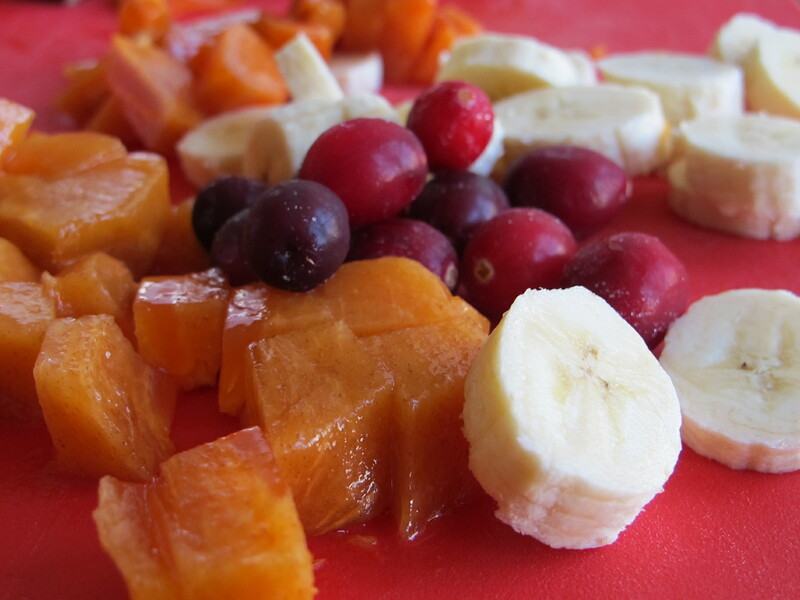 I added sliced banana, persimmon, and whole, frozen cranberries. I found the cran-tartness to be the perfect foil for the sweetness of the other fruit, but you can mix in any fruit you like. This recipe makes enough for at least 6 servings and it saves nicely in the fridge, so when you whip up a batch you’ve got breakfast covered for a while. I lugged the entire baking dish with me to the office and reheated a big scoop each morning, then topped it with a drizzle of maple syrup and a handful of toasted almonds. Also, I should fill you in on a little secret. B.O.B. is a quasi-celebrity. My friend Liz Daly, photographer extraordinaire, offered to snap professional pics of my latest recipe. The featured photos, aside from the fruit-centric pics (those were all my doing…and you can totally tell), were taken by Liz. I brought B.O.B. over to her place, still warm from the oven, with a bottle of Prosecco. We had a genuine photo shoot: The lighting was just right, my hand tired from pouring the maple syrup just so, and B.O.B. looked like a star. And…when the star looks good, I’m a happy Happelsauce. B.O.B. The breakfast revolution is now. 2. Generously grease an 8”x 8” baking dish and set aside. 3. Place first 5 ingredients into a mixing bowl and toss together. 4. In another mixing bowl whisk together both milks, the egg, vanilla and maple syrup. 5. Pour the milk mixture over the oat mixture and stir together. Fold in the remaining ingredients until just combined. 6. Pour into the prepared baking dish and smooth surface with a spatula. 7. Bake for 40 to 45 minutes or until golden brown. 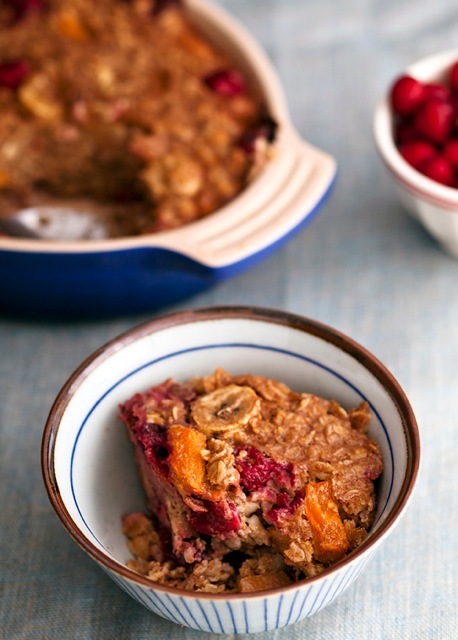 Allow oatmeal to cool for a few minutes, then top with maple syrup, toasted nuts and more fruit, if you’d like. 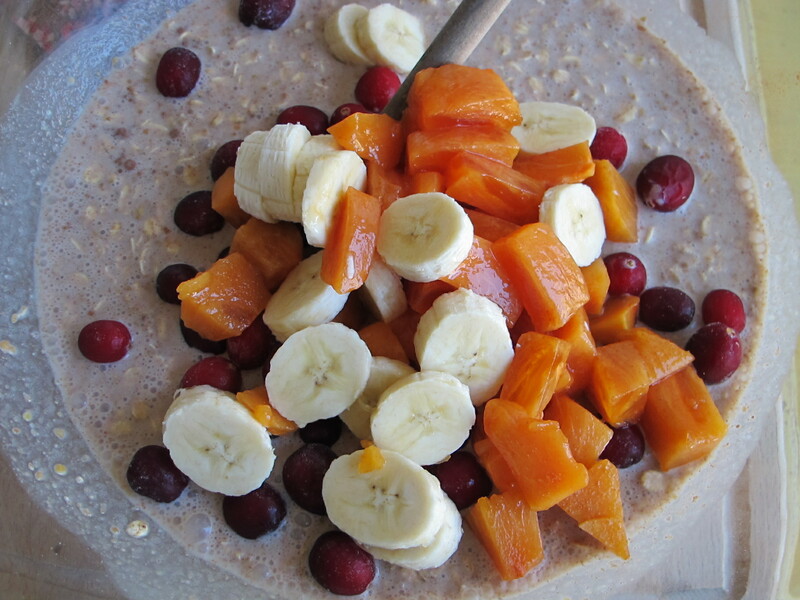 You are a breakfast champion. I’m dribbling looking at these photos….YUM!